Union for Reform Judaism, 9780807408834, 1604pp. 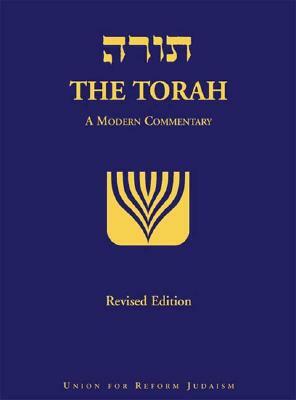 Nearly twenty-five years after the groundbreaking publication of the first-ever English language liberal Torah commentary, we present The Torah: A Modern Commentary, revised Edition. This volume features updated commentary and translations, including a gender-sensitive version of the JPS translation, with largely gender-neutral God language and a completely fresh translation of Genesis and of the haftarot by the late Rabbi Chaim Stern. As Rabbi David Ellenson, President of the Hebrew Union College-Jewish Institute of Religion, states, ?This book provide a dazzling compendium of sources both classical and modern, and a variety of voices that will enhance worship and study of everyone. ?